Creating a budget is one thing -- sticking to it is another. This can prove especially challenging if you have an irregular or fluctuating income or variable monthly expenses. 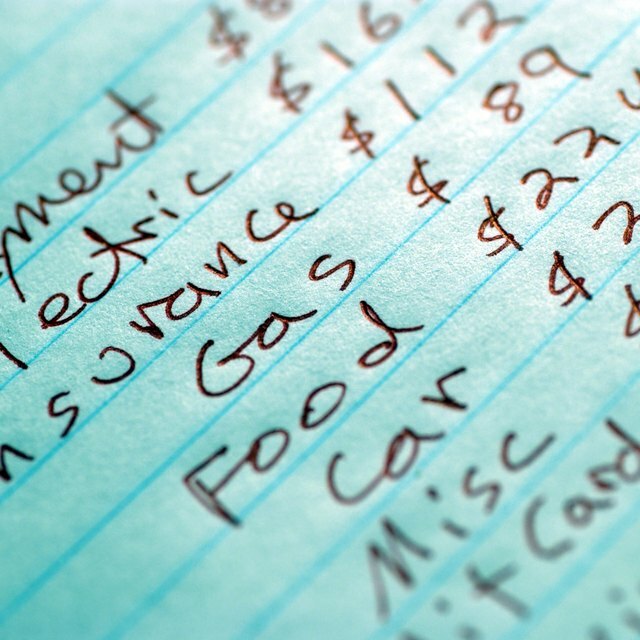 Whether you’re keeping books for a business or running a household, learning budgetary control techniques can help you control costs, anticipate factors that could derail your budget and make your finances easier to control. Don’t try to “wing” your money management process or guess at costs. Develop a detailed budget that breaks down all of your fixed financial obligations. If you have to estimate an expense, calculate an average and estimate monthly costs on the high end. For example, if you have a monthly power bill that ranges from $200-$400, a $300-$350 budget line item for your bill should keep your figures in check. Money management can go off the rails when you fail to anticipate the need for small expenditures. Build a discretionary fund into your budget and don’t view it as “extra” money but padding if you experience cost overruns or lower-than-anticipated revenue streams. When you save money one month, add it to the fund to give you a wider security net. Balance your budget each month to make sure you’re staying on track. Compare your actual bills and bank statements against your actual income and track your spending. Adjust your budget accordingly if necessary to reflect income and outgo. As part of this regular process, you may identify expenditures that are redundant and can be scaled back or eliminated. At least once or twice a year, go through your budget line by line, and evaluate the necessity of each expense. For example, if you have cable, insurance or a mobile phone as a recurring expense, you might use your annual self-audit to comparison shop for better prices or contracts. This approach ensures you’re managing your money and making it work for you. Don’t over-extend yourself by taking on lines of credit or incurring expenses you can’t keep pace with. Getting bogged down in debt can hurt your credit, derail your budget and make you feel stressed. Save for large expenses, pay down high-rate debt and start a savings plan to cover unanticipated financial needs.